Dating in the modern world is hard! Nowadays it’s all swiping right, emoji’s and one night stands but among all the Tinder lovers there are still young people out there who want to find love, who want to be wined and dined and are looking for the one. Not everyone is a natural dater, but there are a few key tips which I want to share with my readers. These are tips which I have gained following many years of single life, I have talked to my friends both male and female and selected the top 10 dating tips for men. A little etiquette goes a long way, especially when courting so remember your manners, open the car door and be a gentleman. This doesn’t just mean on the first date, it doesn’t take much to be a gent and treat your partner right and will go a long way in helping you to keep hold of them. First dates are hard enough without the awkward silences, so ask questions, be confident and be yourself. Everyone gets nervous but confidence is an attractive trait so even if you have to put on a front for a little while, you’ll soon relax and be confident in yourself. 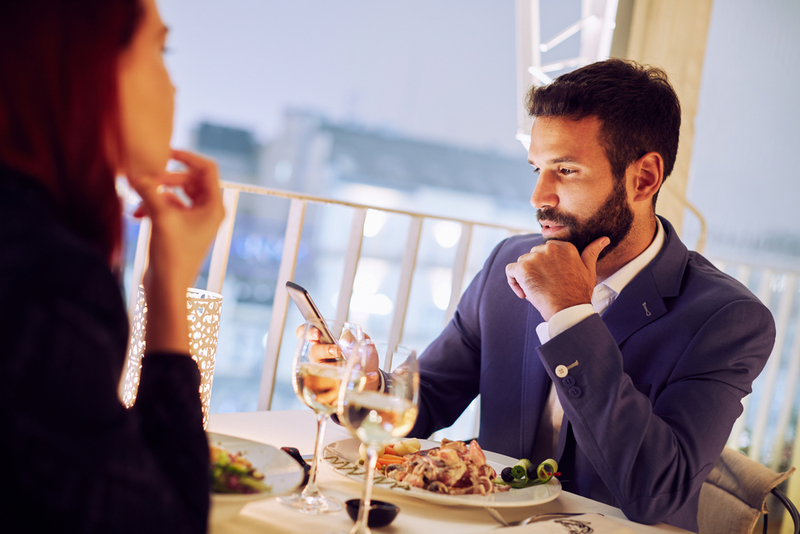 It’s rude enough being on your phone when having dinner or when in the company of someone else but to use your phone on a date is downright unacceptable. So, come off social media (I’m sure you can live without it for 2 hours), put your phone on silent and don’t check it – unless you want your date to feel like they’re boring you. This is a big debate within my circle of friends but I like to do it the traditional way and pay for the first couple of dates. If you think they may be the one or that there may be some sort of future, then next time you can go halves or offer to go for a drink, on them. Top tip: This is a good way to extend the date! If by the end of the date you don’t feel that ‘spark’ everyone talks about then don’t tell them you will be in touch! Honesty goes a long way and the quicker you get the conversation out the way the better. Don’t pretend you like her if you don’t, don’t tell her you’ll call if you’re not going to, it’s basic manners. As I said, everyone gets nervous, especially on the first date. Try to relax, head to someone where you both can relax and enjoy the conversation. If you’re right for each other, things will flow naturally and after the initial introductions, you should feel a bit better but just remember, nerves are good! So there you have some of my top tips for dating– do you have anything you’d like to add? Let me know by getting in touch.